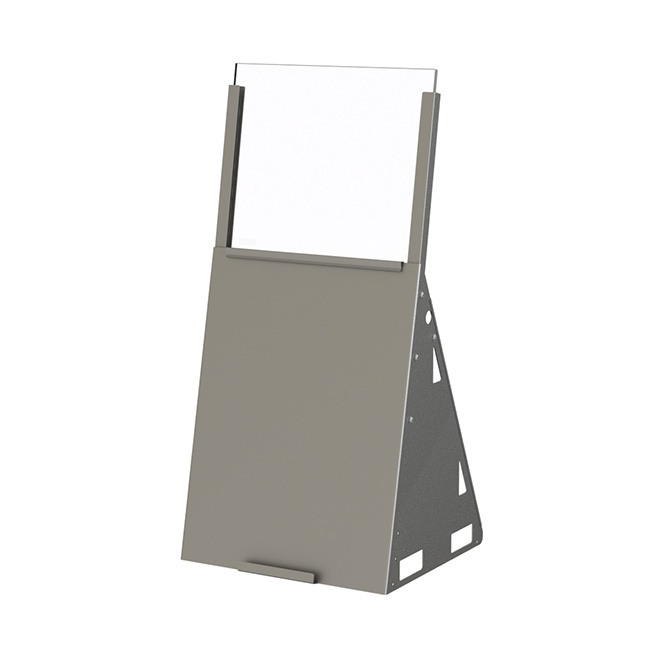 DS-110 SERIES | Defenshield, Inc. The Tool of Choice When Lightweight Protection Against Handgun Threats up to 9mm is Required. 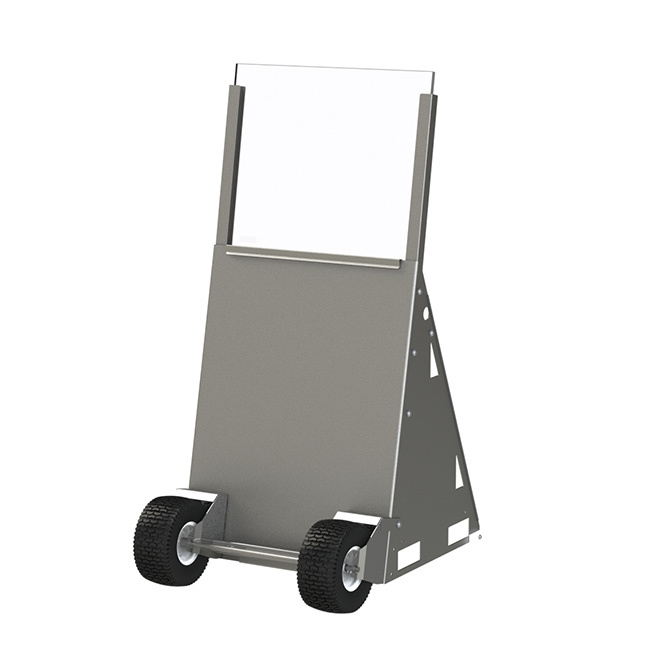 The DS-110, caster mounted DS-111, and DS-112 with ATV-style tires are designed to protect security personnel at a variety of locations including screening areas at courthouses, federal buildings, aviation security checkpoints, correctional facilities, embassies or any secure location. The DS-110 series is constructed of NIJ Level II components to provide the highest level of protection against threats up to 9mm handguns and is the only mobile, full coverage and field of view, bullet resistant tool on the market. Offering up to 16 square feet of viewing area, this bullet and blasts resistant partition provides 100% coverage in a mobile package that can be used indoors or out to protect personnel and property. A smaller and lighter version, the DS-112DC, is manufactured for use in correctional facilities. The unit is sized for use by CERT and MRT units within the confines of Correctional Facilities and is equipped with filled ATV-style tires. Custom sized units are also available. The glazing and armor protects against 9mm Full Metal Jacketed Round Nose (FMJ RN) bullets, with nominal masses of 8.0 g (124 gr) impacting at a minimum velocity of 358 m/s (1175 ft/s) or less, and 357 Magnum Jacketed Soft Point (JSP) bullets, with nominal masses of 10.2 g (158 gr) impacting at a minimum velocity of 427 m/s (1400 ft/s) or less. The following items are some basic questions to ask when preparing your Defenshield order. What is the nature of the threat – small arms, rifle rounds, armor piercing, IED blast? Will the unit be used indoors or outdoors? Will the unit be used for riot control or hostage negotiations? Do you require conspicuous deterrence or camouflage? Will the unit need to match the aesthetics of it’s surroundings – wood or stone finishes? Will you need traffic control signage, unit logos or law enforcement badges displayed on the unit? What is the size of the space where the unit will be used? Will the unit need to fit through doorways, into elevators? What are you protecting – people, objects? What surface are you using the unit on – gravel, dirt road, finished concrete, wood floor? Will the unit be frequently relocated? Will you be transporting the unit over long distances or within a few feet? © Copyright 2002-2019 Defenshield, Inc.